Learn how to save money, while greening your restaurant, in 9 easy steps! Listen to Jeff Clark, Conserve program director at the National Restaurant Association, outline easy ways to start saving money in your restaurant today. See video here. Finding eco-efforts daunting? Learn how a staff "green team" will help you implement environmental best practices in your business. Watch video. Some enterprising restaurateurs are transforming old shipping containers into new popup foodservice options. See full story at Restaurant Hospitality. 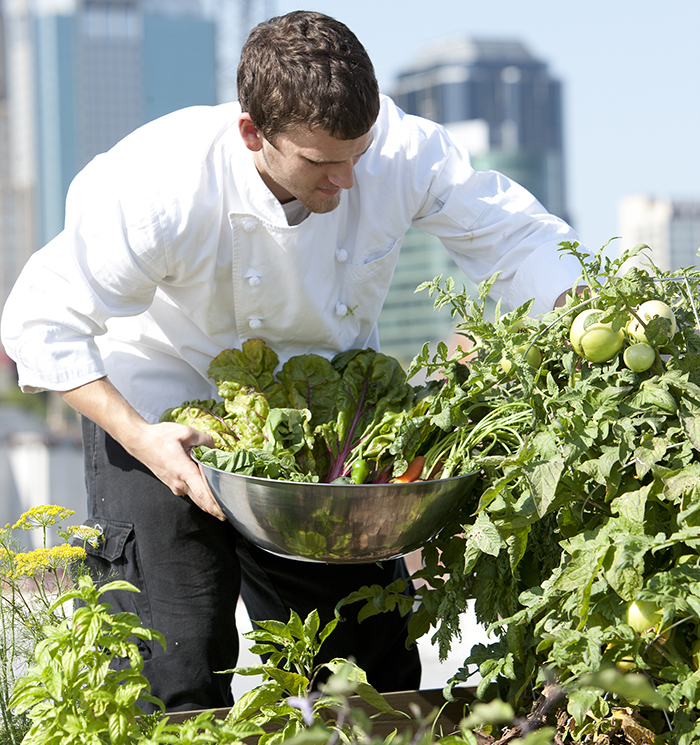 From our friends at Foodable Network, hear about the role farmers play in how chefs tell stories through ecologically growing food. New compost label coming soon? How2Compost label aims to get people to properly separate their packaging for compostable foodservice ware. Read full blog here. Have you started minimizing your food waste? Get the details to launch your efforts here! Want a cheap and easy way to save money? Learn both how and why to properly set your walk-in refrigerator temperature while maintaining safe food temperatures. Need help with sustainability? The Conserve program is for you! Quickly learn how to implement simple, cost effective sustainability efforts that improve your business. Start with easy best practices and save money, energy and water. Then graduate to more in-depth, inspiring efforts.